Weekly Travel Theme – Dance – Cinderella, San Francisco Ballet – Wonderful Opening Night! I like this theme very much because I do have lots to share. I have many dance pictures or videos which I took from my travels. I may have already posted some of them, but I may re-post them for some of my new readers. What I want to share today is the new Cinderella ballet performed in San Francisco last Friday. This year’s run of Cinderella is all sold out. We are lucky to have secured our seats for Cinderella as San Francisco Ballet subscribers. We saw the Cinderella on Opening Night, May 3. 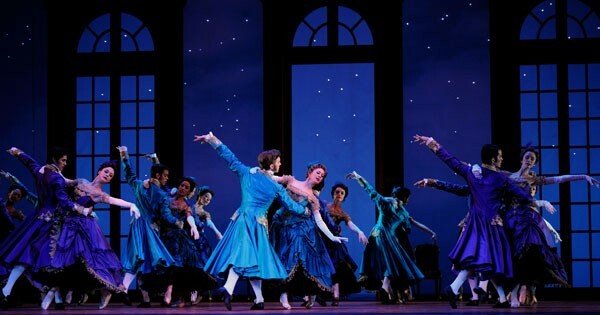 I think it is a must-see dance event of the season: the U.S. premiere of Christopher Wheeldon’s magical new production of Cinderella! The performers of Cinderella are on rotation. On the Opening Night, the Principal dancers who played Cinderella was Maria Kochetkova, and the Prince was played by Joan Boada. I found everything beautiful and fantastic, from the choreography to the performance of all the dancers, and from the set to the costumes. The critics in general gave it a very good rating although they often offered a few things that they would like to improve. To me, it was a perfect performance….except that I could not get another ticket to see it again this Season. “The project, San Francisco’s first “Cinderella” in more than three decades, is a co-production with the Dutch National Ballet. Given the verve and wit on display in this American premiere, you’d think it had been custom-made for the local team of all-stars, most of whom seemed to be dancing somewhere in this performance. I am sorry if you don’t have the chance to see Cinderella this season. I am waiting for the second round too! Previous Weekly Photo Challenge: Culture #2 – My Yunnan Trip #9: What is the Totem Pole in Yunnan?